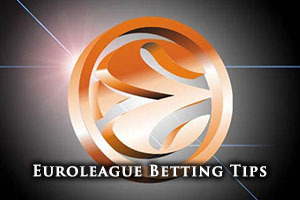 Spread Pick: Anadolu Efes with handicap -2.5 at 1.90 Over/Under: Over 145.5 1.90 Bet Now! This will be the third meeting of these two teams this season and both teams has one win to their name in these clashes. Both teams grabbed an away day win with Efes winning 66-76 in early November while Nizhny gained their revenge with a 61-65 victory in Round 9 in December. This was a result which went a long way to ensuring that Nizhny made it through to the Top 16, and is therefore a big reason why these two teams are clashing at this point. The CEC Nagorny is likely to be the setting for a big clash in this game where both sides will be desperate for a big win to increase their likelihood of making it beyond this stage. 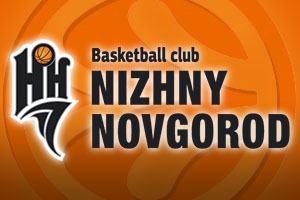 Nizhny come into this game with a with a 6-7 record, with a 5-5 record in the first group stage being followed up with a 1-2 record so far in the Top 16. The team has managed to grab an average of 75.2 points per game in the Euroleague so far, and a lot of this is down to the success of their American players. US guard Taylor Rochestie is the key man for Nizhny so far this campaign and he has averaged 19.4 points per game while also offering an average of 5.4 assists per game. He, and the team, has been ably assisted by Trey Thompkins, the USA forward, who has averaged 12.8 points per game while also serving up an average of 7.6 rebounds per game. The Euroleague has been a bit of a struggle for Nizhny so far but their domestic form has been much better, winning 13 games and dropping 2 while sitting in 3rd place in the table. In their most recent domestic outing, they defeated Krasny Oktyabr away from home, winning by a score of 74-96. Anadolu Efes Istanbul currently hold a 7-6 record, with a 5-5 record in the first group stages being followed up by a 2-1 record in the Top 16. The team has managed to notch an average of 72.2 points per game in the Euroleague, a record that is lower than their opponents this week, but it has still been enough to get them off to a flying start in the Top 16. There have been a number of key players for Efes so far this campaign and Dario Saric has been in great form. The Croatian forward has grabbed an average of 11.2 points per game and has offered an average of 5.7 rebounds per game. Stephane Lasme, the Gabon forward, has provided an average of 7.1 points per game and an average of 4.7 rebounds per game. There has also been the strong form of USA guard Dontaye Draper, who has provided an average of 7.7 points per game while providing an average of 3.9 assists per game. Domestically, Anadolou are doing tremendously, sitting in first place with an 11-4 record. However, they tasted defeat in their last match, slipping to an 86-91 defeat in Overtime against Turk Telekom. Taking Anadolu with a -2.5 handicap, at odds of 1.90, makes sense, particularly when you take on board that the away team has been the victor in all of the games between these sides this season. There is no reason why this trend cannot continue in this one, so be on the lookout for that. If you are looking to take the Over/Under market, look out for Over 145.5, and both of these bets are available with Bet365. If you are keen to catch Nizhny Novgorod v Anadolu Efes live on Friday the 23rd of January, we can sort you out. Bet Now!